What better way to represent the language of a watery folk, but with rounded characters. the concept of water and bubbles was my inspiration for this alphabet. It's a bummer you never really see the Zoran text in Majora's Mask, so I didn't get anything but my crazy ideas to help this alphabet into creation. 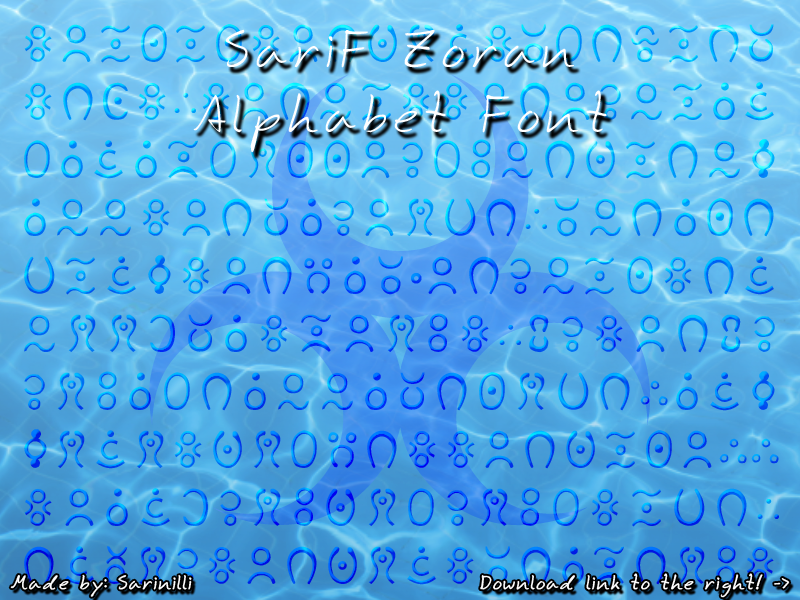 This is a fan alphabet, and the only Zoran alphabet there is! The zip file contains the .ttf and a pdf mapping chart for the letters. If anything isn't clear, please let me know. That's odd; can you tell me a bit about your system and how you installed the font? I use Mac and installed it straight into Font Book! <: It's seems im not the only one as others have compiled a chart with the associated letters for this font and left out the Q. Have you tried typing q anyway, even if it's not showing up in the chart? Since the alphabet doesn't "really" have q, it has no glyph of it's own in the font's internals- It is however mapped to the same glyph as k.
See if it works for me? If that's what's going on... what about x? Is it showing up in the chart? Wait, so how can I use this? Well there's a download. How exactly do I use the font? Oh! New to fonts, hmm? Sorry, I didn't realize that's what you meant. Hey, I have to create a language for my end of semester project in a linguistics course I'm taking this semester and I was going to make a Zoran-Hylian Creole based on what I've read by different fan produced takes on the Hylian language and my own imagination of the water tribe. Would you mind if I used your font (giving due credit of course)? Also, I was wondering if you had any thoughts on possibly some Zora specific grammar they might have given their culture? 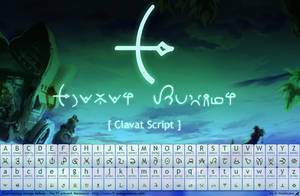 Would you be able to show us what each character was by itself like you did with the ancient hylian and modern hylian alphabets? Or do you mean you'd like something like the wallpapers as well? 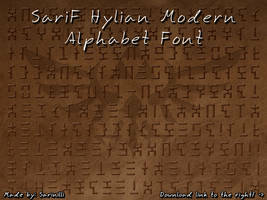 Would you possibly be able to create a font for an alphabet of mine? I know it's asking a lot, but I have the drawings for each character, and I really wanted to use it for use in a story of mine. Alright, that's totally fine. I figured that would be the case. Hi! I'm writing/drawing a fan mer comic and I was wondering if I could use this to do referencing and such for the characters along with random texts that would eventually appear? 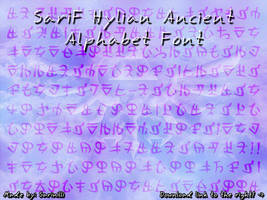 Could you make charts for your other fonts showing which letter goes to which symbol like you did for hylian? Well, there is the pdf that's included with the font if you just need to know which is which without having to type the characters in. ...My life is changed forever. X_X This is wonderful, thank you! Where can I get this(and the Goron font) from? I..don't understand? 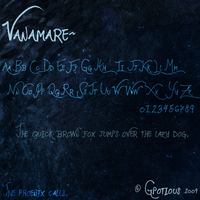 This is the font...you just have to download it. 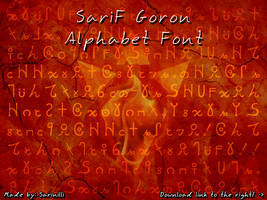 The Goron font is in my gallery as well. 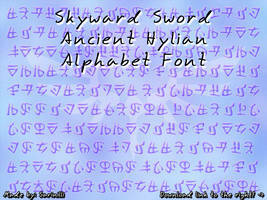 can you made a alphabet like ancient hylian alphabet (skyward sword)? 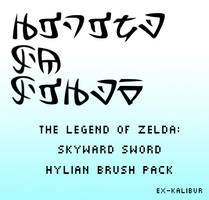 Also for the gerudo alphabet? 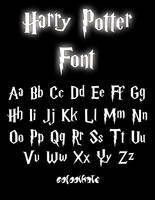 i have a mac, and whenever i try to download some of the fonts - which are AWESOME by the way! 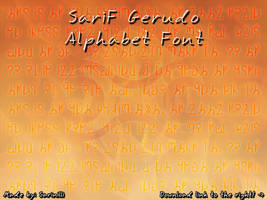 - like this Zora one, the goron font, and the gerudo font, they won't work for me i'm not sure why though, because I've been able to download other zelda fonts that are .ttf and they work just fine. other's I've downloaded are .otf and they also work fine. do you think you could help me figure this out please and thanks? Hmm... I'm not sure what could be the problem. 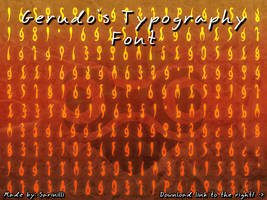 Do my other fonts work for you? I have the same problem too, however, I love your fonts! I'm really sorry, I'm not sure why it doesn't work. 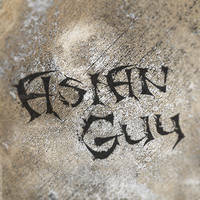 thank you for this font!!! .. i looove it !! .. downloaded and added to favorites!